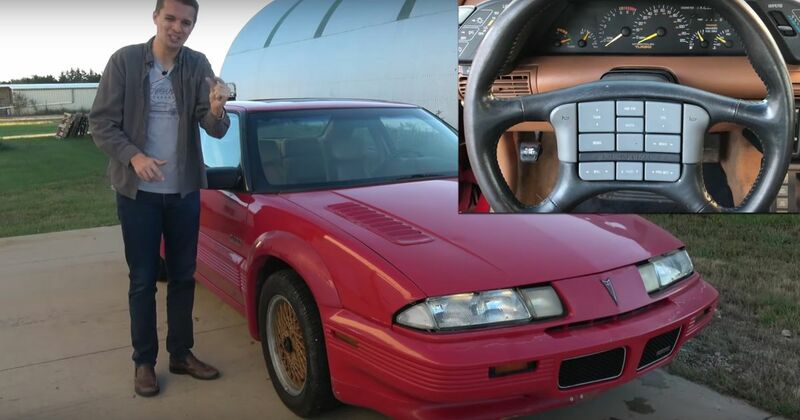 Fresh from buying the USA’s cheapest Ferrari Testarossa, Tyler Hoover has now picked up the least expensive McLaren in the country. Possibly the world. Well, sort of. It’s actually a relatively unknown version of the fifth-gen Pontiac Grand Prix, enhanced with the ‘ASC McLaren’ package. This unlikely alliance between the American Sunroof Company (also known as the American Specialty Cars) and the British company also gave birth to some tweaked Ford Mustangs and Mercury Capris. In the case of the Grand Prix, the ASC/McLaren additions included a body kit, bonnet vents, new alloy wheels and a turbocharger for the 3.1-litre V6. Which seems to sound like a distressed pigeon on Hoover’s example. The interior is just bizarre, featuring over-padded seats with a particularly awkward design for the squabs, and a steering wheel festooned in buttons. 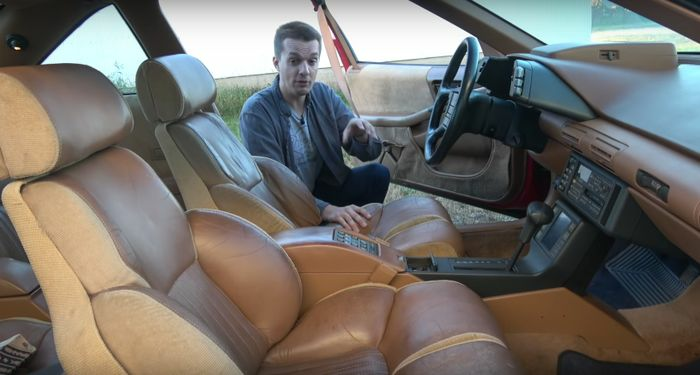 This car has so many quirks, we’re amazed Doug DeMuro hasn’t done a video on one yet. The McLaren connection may be a little tenuous, but regardless, we think this is an awesome slice of 90s coupe goodness.